I’m the Biggest Thing in the Ocean! 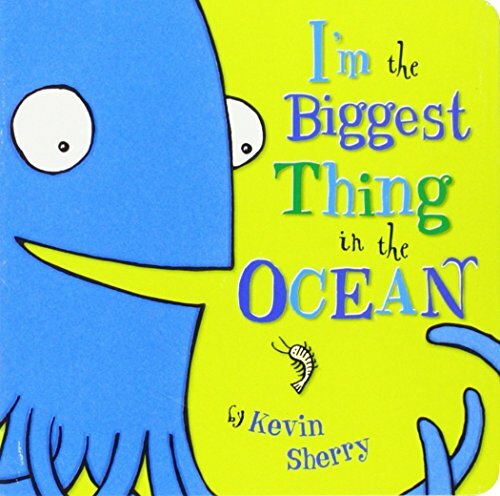 Kevin Sherry?s unabashed squid may be the biggest thing in this catalog, but he?s not too big for even the littlest kids to love. 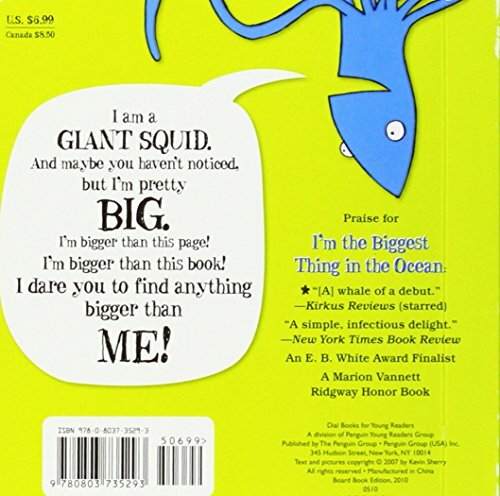 As the hubristic squid goes about bragging, babies and toddlers will get an eyeful of undersea life?from shrimp and jellyfish to turtles and more. With its snappy text and bright, bold artwork, this winning modern classic is guaranteed to have even the youngest of readers grabbing at pages and laughing along. Now everyone’s favorite squid is just the right size for babies and toddlers. Features snappy text and bright, bold artwork. Babies and toddlers will get an eyeful of undersea life. Contains 13 pages and measures 9.25 x 6.25in. Recommended for ages 0 – 2 years.